Omix-ADA offers high-quality replacement parts for your Jeep that meet or exceed OE standards for a great fit and reliable performance. 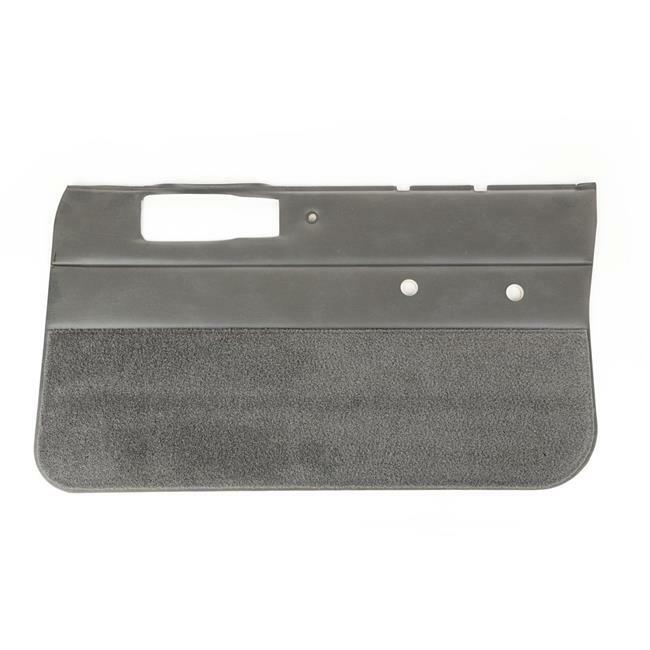 This Front Door Panel fits the front passenger door on 1984-1996 Cherokee XJ models. It is wrapped in Charcoal vinyl with dielectrically sealed horizontal seam and trimmed with loop pile carpet at the bottom. This is a factory surplus part so fit us as original.